Raptor | 13 The Creative Constructions of Richard Powell » Blog Archive » Happy Birthday to Shizukera! See? What do I keep saying. Everyone was born in the middle of the year! 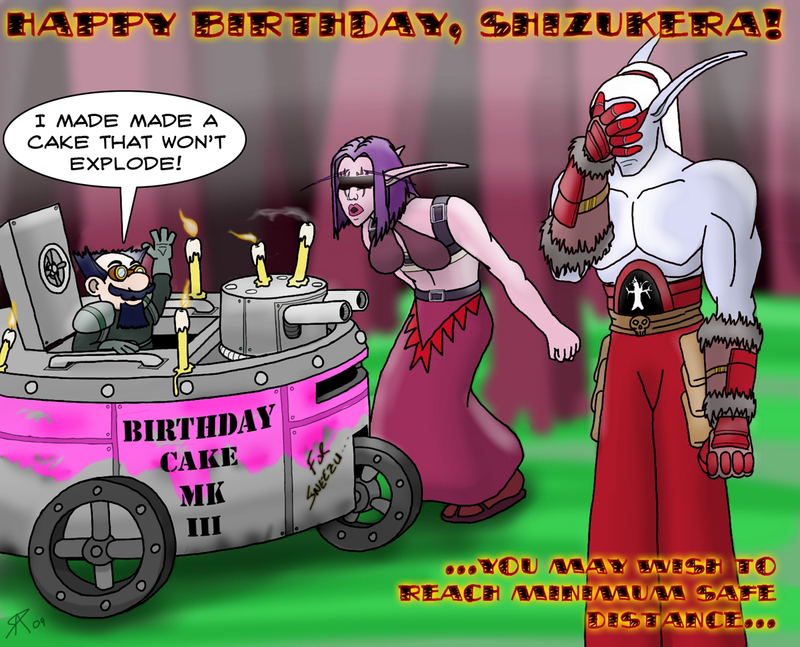 This card goes out to a dear member of my World of Warcraft guild whose character is known as Shizukera Nightfury. She purrs. She’s a demon hunter. She’s … a purring demon hunter. I should have probably drawn her purring at the tank, come to think of it… crap. Oh well, there’s always next year! Happy birthday, Shizu! This entry was posted on Friday, July 17th, 2009 at 2:25 am	and is filed under Artwork and Design. You can follow any responses to this entry through the RSS 2.0 feed. You can leave a response, or trackback from your own site.